At Testa Landscape Construction LLC, we see your property as a canvas and we’re ready to create an image of perfection through landscape design. 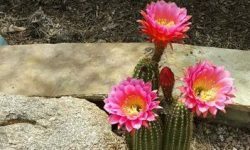 Our broad range of abilities allows us to take any concepts or ideas and bring them to life perfectly in a landscape that’s totally unique to your home! 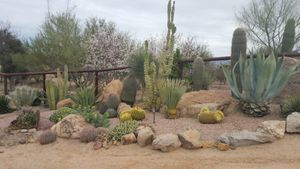 Whether you have ideas for the perfect landscape services in Scottsdale, AZ or need some input from an experienced professional, we work with you to choose the design elements that accentuate your property. Once a design is in place, you can also count on us to construct and install your landscape true-to-plan. We guarantee results that are stunningly beautiful and wholly transformative. 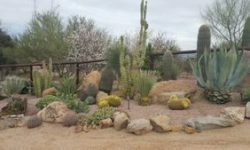 In our dry Arizona climate, irrigation is important for maintaining the lush beauty of your landscape. 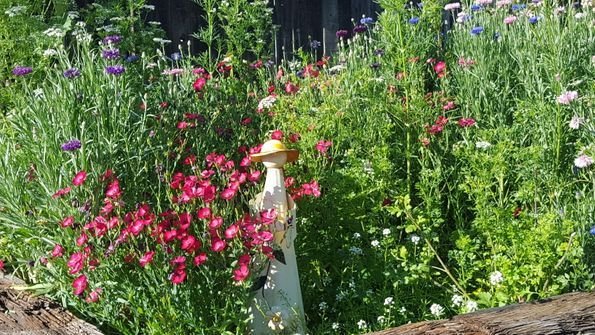 We’re experts on irrigation and drainage and will incorporate these elements into your fundamental landscape design to keep it looking beautiful for years to come. Want to cast a little light on your beautiful property even after the sun goes down? 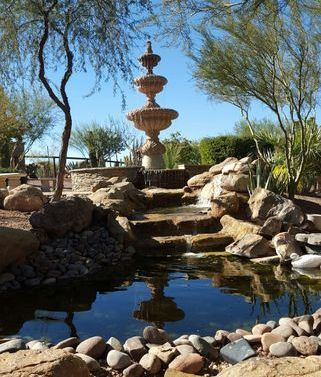 Let us design and implement the ideal landscape lighting in Scottsdale, AZ! We’ll illuminate the features that make your landscape one-of-a-kind and give people a reason to stare even at night. 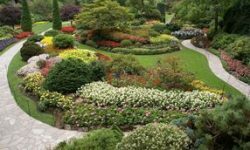 As plant experts, we’ll help you choose the right foliage for your property and make sure it’s installed properly so it can thrive. Or, if you have an old plant that’s suddenly in poor health, give us a call to have any diseases or pests diagnosed and properly treated. We’re committed to the health of your greenery! 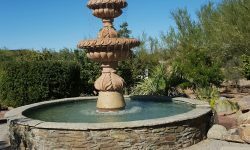 Nothing quite distinguishes a property like outdoor fountains in Scottsdale, AZ. 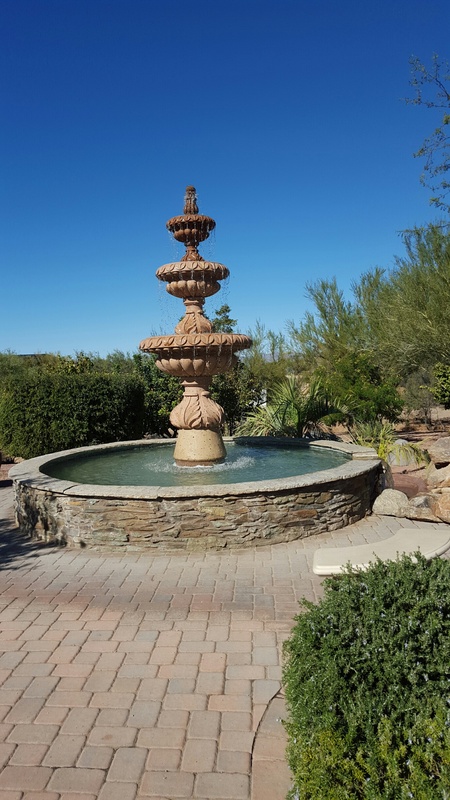 We’re well-equipped to install water features of all kinds, including fountains and coy ponds. You can also call on us for leak testing and feature repair. For more general hardscaping, we work to build concrete slabs, patios and block walls, using quality materials like Belgard paver and travertine. 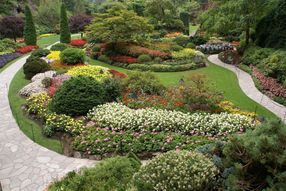 If you’re ready to bring your landscape to life in beautiful detail, with hardscaping and greenery that merge in harmony, contact Testa Landscape Construction LLC. 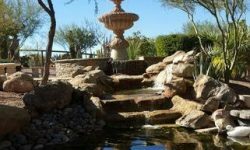 Give us a call today at 480-273-1358 and let us consult with you about your vision for a property you can be proud of.